So, you’re in a relationship with a South Africa Citizen or Permanent Residence holder, you have 5 years proof of cohabitation (please see here if not) and you want to join your partner on their return to South Africa. It may seem like a straight forward criteria but a life partner permit is one of the easiest ones to get wrong. We have put together some of the most frequently asked questions we receive on how to apply for a life partner permit and of course you are more than welcome to contact us and discuss your application in person. How do I know I can apply for a life partner permit? Can your application show that you have cohabited for 5 years? If you cannot prove this but can prove 2 years cohabitation please see here. If you cannot prove 2 years please see here. Are you in a permanent relationship with a South African Citizen or Permanent Resident? The key here is evidence – is it substantial and is it clear to the adjudicating official? Is your partners status as a South African Citizen or Permanent Resident intact? Many South Africans have taken on a second citizenship. Unfortunately some did not do so within the laws of South Africa and obtain the appropriate permissions beforehand. All is not lost if this is the case, but further work will be required in terms of a determination of citizenship. How do they judge a permanent relationship in the application? The emphasis when you apply for a life partner permit is on proving the relationship meets the criteria of being permanent, that you live together and the supporting of each other emotionally and financially. For the financial criteria this includes items such as shared bills, assets and liabilities. The emotional criteria is a little harder to substantiate and for this reason all life partner permit applicants, as part of the ‘how to apply’, need to be aware that they will be interviewed both separately and together. Where do I apply for a life partner permit? To apply for a life partner permit, generally you will need to make the submission in your country of origin. Whilst you can still apply for a life partner permit in South Africa, this can only be done when you already possess a permit or visa that entitles you be in South Africa. Please note that legislation specifically prohibits you from applying for a life partner permit if you are on a tourist (90 day) visa. Evidence of your permanent relationship (as noted above). Original identity documents of the South African Citizen or Permanent Residence Holder. Letter Of Support form the South African Citizen or Permanent Resident. Financial proof such as bank statements or salary advice of the South African Citizen or Permanent Residence Holder. Police Clearance for the applicant. Medical Certificate for the applicant. Radiological Report for the applicant. Background and supporting evidence as to the Life Partnership. Proof of address as to current and future cohabitation. A notarial contract & Life Partnership Affidavit. The life partner permit has been identified as one of the most abused permit applications. In the past ‘bogus’ applicants saw the life partner permit as an easy means to obtain residence by ‘pretending’ they were in a permanent relationship. Genuine applicants should have nothing to fear, the officials role is not to catch you out but to confirm the relationship. Any discrepancies in your application may well be focused on by the interviewer. One of the features of a Life Partner permit is that it grants successful applicants permanent residence. 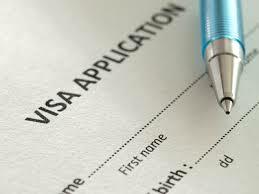 In essence although applying for a life partner permit you are applying for permanent residence. A permanent resident holds all the same rights to work, study or run a business and requires no further permissions from the Department of Home Affairs. Therefore either when you apply for a life partner permit, or when you already hold a life partner permit, you no longer need to apply for the endorsement specific to the activity you wish to carry out. The Department of Home affairs is notorious in its unpredictability with regards to turnaround times. Sometimes it is months, sometimes up to 2 years. It is one of those situations where you agree better to plan through the eyes of a sceptic and estimate 2 years for your permit to be issued and view anything less as a bonus. Firstly, let us say that when you apply for a life partner permit you are not obliged to use the services of an immigration company such as ourselves. The application forms can be found on the Department of Home Affairs website. If you do go the Do-It-Yourself route, of course this can also save you money and a many people have and done it successfully themselves. As with anything done ourselves, there is of course risk and a huge investment of time and research. Where we add value is firstly in our acquired knowledge – at the time of this article even the Departments official website was not up to date. There is such conflicting information on the internet that it makes it difficult to reach firm decisions and unfortunately there are a great many companies that are little more than marketing portals who make a living out of passing over your details in return for commission. With over 30 staff, 2 offices, 13 years experience and over 13 000 permit and visa applications successfully processed at Intergate, we know immigration! We help you to assess the correct permit, compile your application, assist with submission and monitoring and the decision pick up. We save you time and money and pride ourselves on delivering a service that surpasses your expectations. Of course talk is easy and at Intergate we know that. That’s why we have taken the route of giving you concrete evidence of our abilities by obtaining ISO 9001, the only South African immigration company who can offer you this. Our aim is simply to ensure that if you do apply for a life partner permit, to make it as smooth and trouble free as possible.